May contain affiliate links and we will make a commission if you make a purchase after clicking on our links. Please see Disclosure & Disclaimer. Our lefse was featured in BuzzFeed’s 26 Foods All Midwesterners Grew Up With. The article includes so many great recipes, many of which we remember making growing up. And still make now. So many great recipes! We not only grew up with our traditional lefse, but many others on this round up. Scotcheroos, green bean casserole, walking tacos and more. Check out the article from BuzzFeed here. 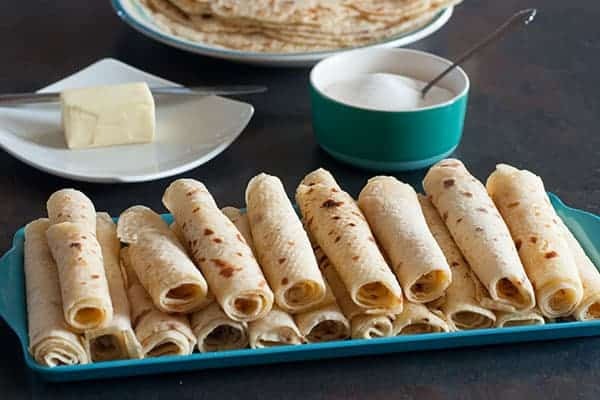 Check out our original How to Make Lefse with 2 Recipes. recipes, inspiration, & tips delivered to your inbox!